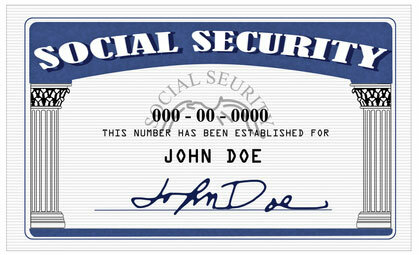 You must visit a Social Security office in person to file an application for a Social Security number. Find your local office on the Social Security website. You can download and print a copy of the application (Form SS-5) early, but you will need to go to an office to file it. The Social Security representative should be able to generate a new number during your visit. Ask for a printout showing your new Social Security number. Although your card will take 1-4 weeks to be processed and mailed to you, the printout will serve as tangible proof of your new number. Rescind you Individual Tax Identification Number (ITIN) and update your tax records (if applicable). You cannot have both an ITIN and SSN simultaneously. If you have an ITIN, write to the Internal Revenue Service (IRS) and request that your ITIN be rescinded and that your tax records be associated with your new SSN. Here is a template letter. Provide your SSN to your employer. If you currently have a job, complete a new W-4 which will update your SSN and is used to determine how much will be deducted from your paycheck for taxes. Submit the completed W-4 to your employer. Provide your new SSN to financial institutions that you use and request that it be applied to your accounts. For bank accounts, you should be able to make the change at your local branch. For credit card companies, call the customer service line to ask about the process.